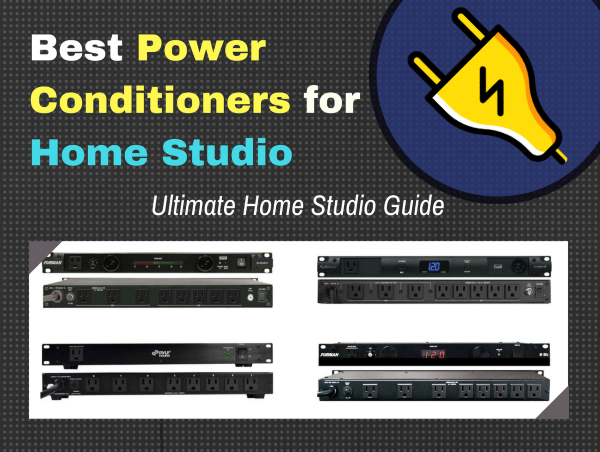 So you got some music production gear (or plan on doing so), and you might be deciding on the best power conditioner for home studio to keep them safe from your electricity provider. Good thinking, keeping your equipment safe is a priority many tend to overlook at first, so we’ll cover some choices in this guide. Quick answer: If you want the top choice, check out the Furman P-1800 AR. If you’re on a budget and want something for cheap, the Pyle PCO850 is a good choice. For a good value-for-buck option, take a look at the Furman M-8Dx. The rest of this guide will go into a few details on some of the other choices as well as the ones mentioned above. We’ll also provide a short overview on power conditioners (for the uninitiated). Although power conditioners might not be the first item on a list of important audio equipment to get, they’re definitely play a very important role. 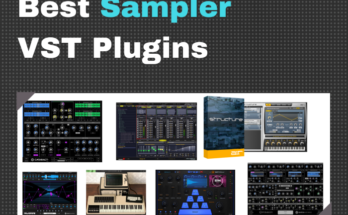 You might generally think about audio interfaces, studio monitors, MIDI controllers, etc. before even considering power conditioners. That being said, it’s important to stay safe and sound, and that’s exactly where a power conditioner comes in. What does a power conditioner do? The most important being surge protection and voltage maintenance. When an overload current is detected on the power condition, it shuts off and prevents damage or tripping to the outlet/breaker. It also helps to regulate the amount of power that is reaching your equipment, ensuring that you won’t get any damage either to your gear or audio signal. Power conditioners also come with AC power outlets that allow you to plug in your equipment. It doesn’t all have to be audio equipment, but for this case we’ll keep it that way. What is AC power, and how can I use it? There’s two main types of power, AC and DC. Without getting too far into the science of it, anything that uses a 2 or 3 prong plug is AC. This includes your phone charger, laptop charger, lamps, etc. In order for your power conditioner to be effective, you have to plug all of the equipment that you’re protecting into its AC outlets. If you have more plug than AC outlets on your power conditioner, try condensing multiple plugs with power surge strips, then plug the surge strips into the power conditioner. Power conditioners are also very useful for reducing cord clutter, kind of like a power strip. Having several electrical cords wrapped around each other can be annoying and very dangerous. Errors and even damage can result when you can’t tell which plug goes to which piece of equipment. This is why it’s important to use a power conditioner for your audio equipment in your home studio. That said, power conditioners are certainly a necessity if you’re looking to stay safe, reduce clutter, and provide a hassle-free solution to audio equipment electricity. The Furman P-1800 AR is easily the most technologically advanced power conditioner that we recommend. It provides a steady, clean flow of 120v and prevents surges and spiking. The Furman P-1800 doesn’t sacrifice any AC power through its surge protection. Although it’s undeniably the most expensive power conditioner on the list, it’s certainly worth a look at. Although the Furman P-1800 provides unparalleled energy turnover and a constant digital voltage meter, being well-worth the investment for those that have the budget for it. Customers mentioned the durability of the product, and that even local thunder storms didn’t allow the current to deviate. If you feel unsafe with having so many electrical sources in the power conditioner during a storm, turn it off until the storms over and the voltage will resume where it left off. With the only downside of the Furman P-1800 being the price, it’d be hard to argue against its quality. It’s manufacturer by one of the most well-known power conditioner producing companies in the world, so this unit certainly deserves the top spot on the list. If you’re looking for a professional option, check it out. Furman’s M-8Dx Merit Series power conditioner is a solid option for a music producer on a budget. The brand is reliable, so you know that you have a quality product if you buy this. Although it’s significantly cheaper than the PL-PLUS C by Furman, it still manages to have a numerical voltage display. The Furman M-8Dx is perfect for any music producer on a budget who still wants a quality. Customers claim that the peace of mind alone is worth the investment. Any criticisms? A few feel that the voltage display isn’t bright enough, and prefer the usage of incandescent lights instead of LED lights, since incandescent lights can heat up after strenuous use. With build quality aside from the minor knit picking, most consumers lean towards this power conditioner as a steal for the price. If you’re looking for something for a lot less, the Furman M-8X2 power conditioner is a great option. It’s also great for beginner music producers looking to keep their equipment safe. As far as brand choices go, Furman is the most well-known. Although you won’t get all the fancy features like the top option in this guide, this power conditioner still has 9 outlets and high quality surge protection. The M-8X2 power conditioner by Furman is definitely on the cheaper side of the list. For a power conditioner under $100, it’s still a quality piece of equipment. For any beginner musician, or anyone simply looking to protect their electrical equipment. Customers are loving the reliability of such a low-cost product. Furman doesn’t skimp out on anything, despite the price. The few criticisms point to the lack of a numerical voltage display. Considering the price, isn’t a terrible situation. Read the user impressions on Amazon. The Pyle PCO850 power supply conditioner comes with built in AC noise filters to prevent any unwanted sounds coming through your headphones and amplifier. For the price range of under $50, that’s very hard to come by. It also features 9 AC power outlets, providing plenty of room to plug all of your audio equipment in. Many reviewers state that the compact size of the unit, paired with the extremely low price, is a perfect match for their needs. Although you won’t get any numerical voltage meter or extreme noise reduction, you’re paying a fraction of the price. This unit also has an easy-to-use interface compared to some of the more expensive models, making it sometimes more desirable. The PYLE power conditioner is a good choice for a beginner looking to filter out some unwanted static noises from AC power sources. When too many pieces of electrical equipment plug into one outlet, often times a buzz or hum can be heard. With the built-in AC noise filter, this power conditioner helps dramatically reduce that unwanted noise. The Furman PL-PLUS C Power Conditioner is a slight step down from the top choice, the P-1800, with the same quality build from Furman. It’s still a professional level power conditioner, but it has a few less features. So the PL-PLUS C is perfect for someone looking to protect their equipment at a high level of efficiency, but who’s on a tighter budget. The Furman PL-PLUS C tends to be a great match for both pros and beginners. It has a great combination of high quality electrical outputs. With practically zero negative reviews, this power conditioner just might be the best bang for your buck. The only downside to the PL-PLUS C is that the voltage meter is a dot-strip, and doesn’t provide a numerical value. To some that might pose a problem. But for most of its consumers, it’s a small sacrifice for such a quality product. If you’re looking for a balance between price and quality, the Furman PL-PLUS C is the best option on the list. If it weren’t for the lack of numerical value on the voltage meter, it just might be at the top. Power conditioners are almost the unsung heroes of music production and audio engineering. You need a safety net, especially when dealing with expensive equipment and electricity. Surge production and voltage regulation is a must with so many cables. They might not be the most exciting pieces of equipment to look at in the studio, but they’re certainly the best insurance for it all. Power conditioners can make your studio look a lot more aesthetically pleasing by bunch up cords and reducing clutter as well. In fact, most of them can be mounted to a rack or a wall. When should I get a power conditioner? Whether you’re a beginner or a professional, investing in a power conditioner is a wise decision. You can monitor the voltage, and feel safe knowing that the power conditioner will trip before allowing your equipment to fry. Take some time with the top power conditioners on the list, and decide for yourself if protecting your equipment is worth it.